Jeeps are famous for their versatility, durability, and off-road capability. Unfortunately, they are not known for their sound systems. This becomes increasingly apparent when the top is down, especially with large aftermarket tires. Fill out what you are missing with the Alpine PSS-23WRA Full Sound System Upgrade. This 300 watt plug and play kit is specifically designed for the Wrangler Unlimited JL four door. 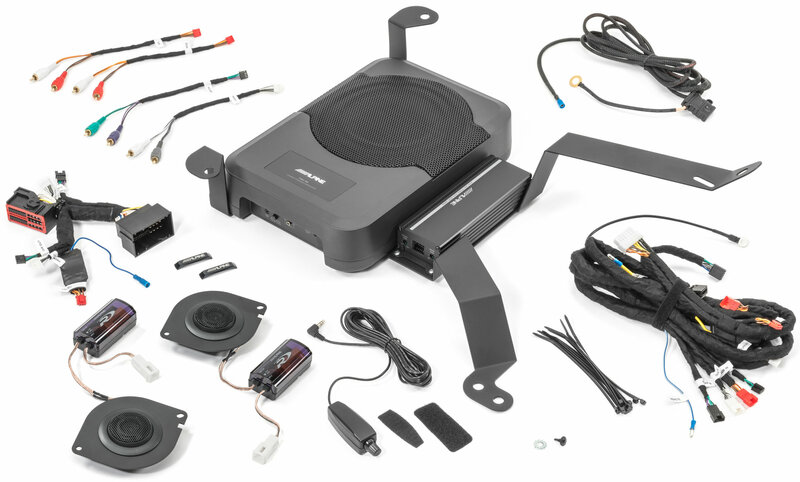 It includes a high performance 8” subwoofer with built in amplifier, a pair of 1” tweeters, and a four-channel amplifier to completely overhaul your factory sound system. 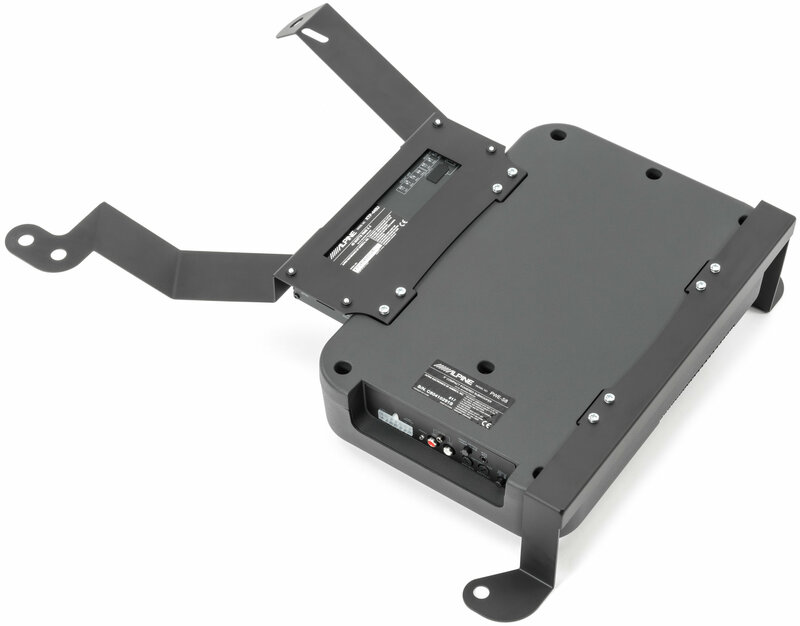 The PSS-23WRA is compatible with both factory and aftermarket head units, and comes with all necessary brackets, hardware, and wiring harnesses. Since the factory speakers lack high and low-end frequency range, Alpine focused their efforts on a subwoofer and tweeters. 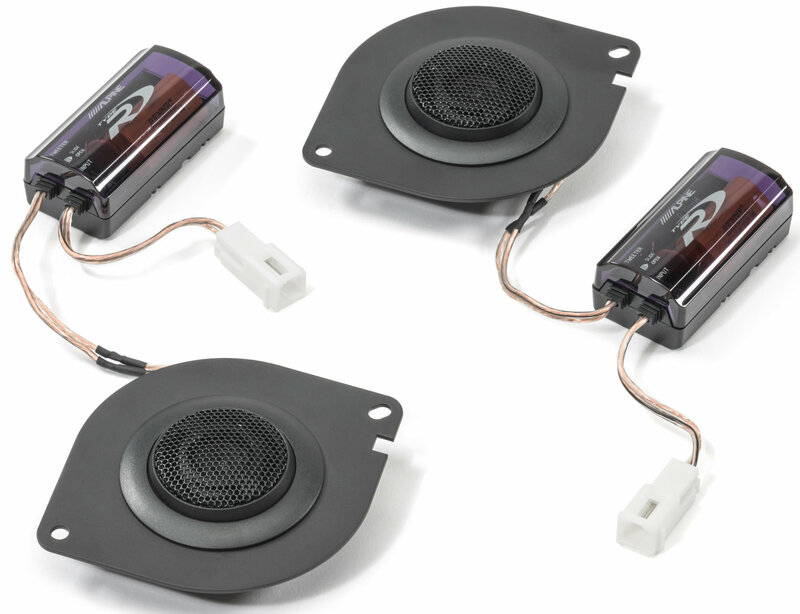 Upgrade from Factory: By adding additional low end and top end, the Alpine PSS-23WRA Full Sound System Upgrade completely transforms your Jeep’s factory sound system. 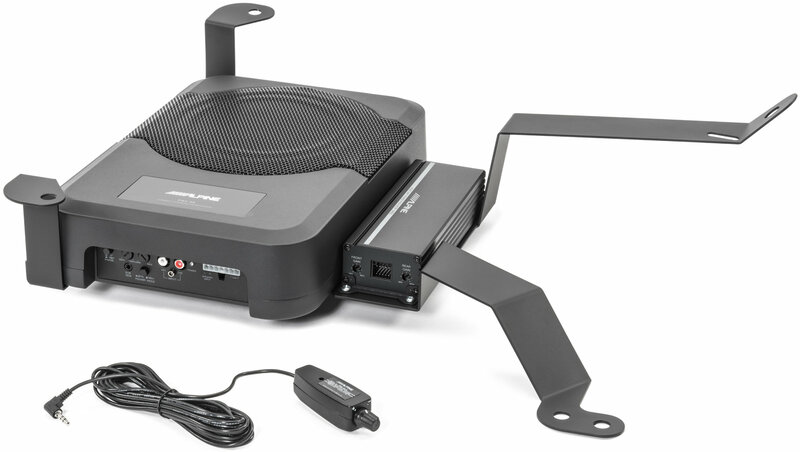 Alpine uses amplifiers for both the subwoofer and factory speakers to completely revolutionize audio. JL Specific Design: Alpine designed this kit to be completely plug-n-play for the four door Jeep Wrangler JL. No drilling, cutting, or splicing is required. The included subwoofer/amplifier bracket bolts up directly to the passenger seat bolts. This kit is compatible with both factory and aftermarket head units. Housing Dimensions: 13.5" x 9" x 3"
Will this fit in a 2 door? No, this is for four door models only. This says it's for a 4 door specificly are there any issues with putting this system in a 2 door? It will not work on the 2 door.